A SON of MANNO he is Australia's first and only Dutch Harness Horse. MANNO received standing ovations upon his retirement after being the first DHH to win 16 consecutive champions. MANNO at 16years old he was named KWPN Harness Horse of the Year agian. MANNO progeny have continued to dominate the harness world with his stock competing at various World Championships in both Single, Pairs and 4 in hand. 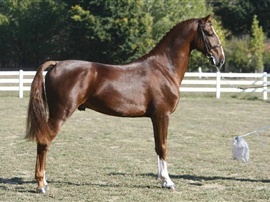 getter in the yearling stallion class. 1st, Jr & Res Grand Champion, MN State Percheron Show; 1st & Res Jr Ch., IA State Fair; 2nd, IN State Fair, National Percheron Show 3rd MI Great Lakes Int. 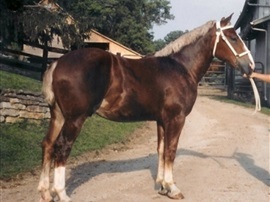 By Stardust Royal Command whom was grand champion at 6 exhibitions in 1994. 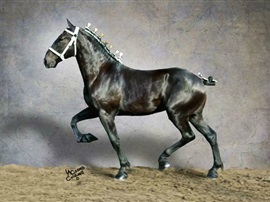 He closed the year crowned All American Aged Percheron Stallion. 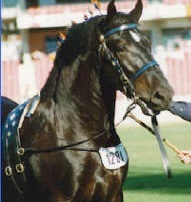 JP has produced the most successful Percheron harness horses in Australia. Above photo taken when he was 20 months old.